« Come, Take A Phishing IQ Test ! Just a few days after AMD announced the shipment of their Dual Core processor, Intel is up to the challenge by announcing they are going to ship their first Dual Core processor, Pentium Extreme Edition 840 processor, ahead of an official launch, which is expected to take place soon. AMD is likely to be the first with the launch of its dual-core Opteron processors expected on April 21. 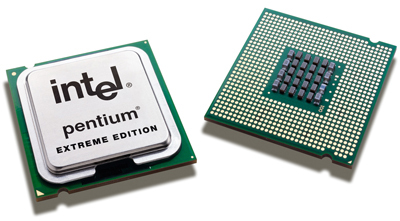 However, Talwalkar declined to comment on when exactly Intel plans to officially launch the Pentium Extreme Edition 840. Intel Producing 32nm Processors Next Year! Do you think this imformation? About personal estimation, I see this review is fantastic. It take for you necessary knowledge. Thanks for share!